Home » Implicit Bias » News » June’s First Friday! A quick reminder that First Friday will be held on June 2nd and there will be 2 events held. The first will take place at Golden Thyme Café at 9:00 AM, while the second will take place at the Lowry Café at 12:30 PM. 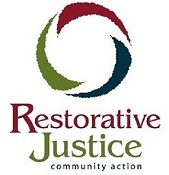 Enjoy some good food and come engage in meaningful discussion about Restorative Justice! Our next First Friday will be held on July 7th.